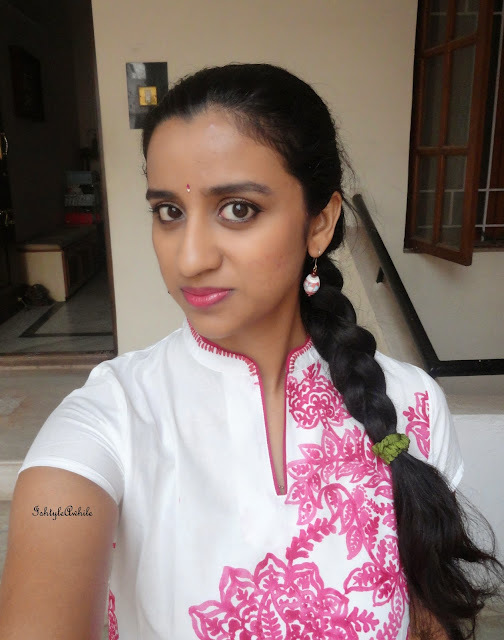 IshtyleAwhile - A Chennai based Indian Fashion Blog - Monthly Favourites- October. So I have bought a whole new bunch of products over the past 2 months but haven't had time to really test all of them. Some are in testing stage and some have been love at first sight. 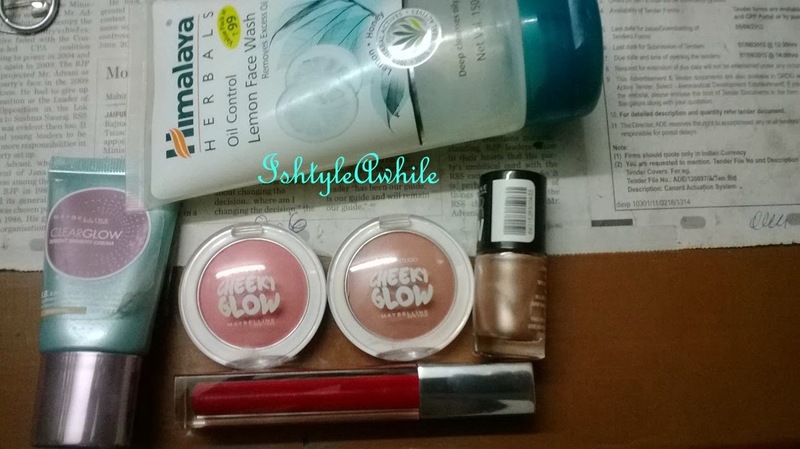 So here are 5 of my favourite products for the month of October. This was definitely a love at first sight product. The consistency, the colour and the price, what's not to love!!! In fact I went and picked up some more shades. Need to test those out too. 2. Maybelline Blush Studio Cheeky Glow blushes. I've written blushes in plural because I have 2 out of 3 shades. I am in this whole blush crazy stage and all I want to buy are blushes! At the price that these babies come I will surely buy the 3rd one soon and probably a whole lot more if they had more shades! Perfect for everyday. I haven't reviewed these yet... ummmm... yeah well, laziness is a cause. I will, though. Soon. 3. Himalaya Oil Control face wash. I haven't had a skin care favourite in a while. I've been through 2 tubes of this in the past few months. I like it way more than the Neem face wash. It most certainly is my everyday go to facewash. I have this in my stash for quite a while but I just rediscovered it. I actually didn't like it at all when I got it first and I just threw it aside. But for the past few weeks I find myself reaching for this more and more. 5. Maybelline High Shine Lip Gloss in Gleaming Grenadine. This is a gorgeous lip gloss. Definitely not everyday! but it has been perfect for the dozens of weddings that I have attended in the past few months.